OLDRIGHTIE: Claim And Counter Claim. Ukraine are culpable here. Seemingly intent on creating a war torn environment in which investigators cannot reach the impact area. Add this to the reports that Separatists are planting fighter parts amongst the wreckage, supposedly to bolster the Russian radar video of such an aircraft in the same point MH17 was hit by a missile. Why create or stir up fighting which screws investigators reaching the area if by so doing you allow your enemy time to doctor the evidence? Or are there Ukrainian fighter bits actually amongst the wreckage. Was a decoy used to attract the Separatists to fire a newly acquired toy? Did the CIA cook up this scenario not realising the decoy would help down the airliner rather than the fighter, or both? Which set up looks the more likely? The West certainly engineered the downfall of the legitimate, marginally pro-Russian, democratically elected Government. No doubt with promises of billions to those aiding this effort. The Russians have produced evidence hard to doctor, easy to verify. Conversations attributed to the Separatists suggest they were unsure about being able to operate the missiles which had come into their possession. Never alluding to instructions from anybody. 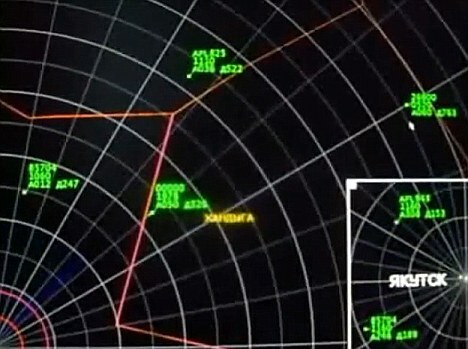 So if a fighter, non squawking target was locked onto, the presence of MH17 may well not have registered. Whatever the truth, if fighter bits are found, amongst those of the B777, the reasons of their being planted, by what we are always told are Russian backed, rather than of Russian leaning ethnicity and non-Muslim freedom fighters, the potentially puerile suggestion they are planted by the Separatists looks every bit the work of panic struck CIA children caught torturing the family pet. As posed earlier in the post, who has the most to gain in this unseemly propaganda? Or even who has the most to lose if found guilty of creating the environment for the B777 and its passengers and crew to perish? Note also how the EUSSR are calling in favours from the lickspittles. Clegg belittling the tragedy by aligning it with a football tournament four years hence. Prat springs to mind. Nothing so far shakes my belief in The Western Ruling Class's culpability. I get more rational comments on Ukraine vis-a-vis MH17 here than elsewhere. I despair of Clegg ever saying anything that anyone should take any notice of, but so many have rushed to judgment on this. Mark Rutte, Netherlands' PM declared that Putin was to blame almost immediately after the attack. We generally regard the Dutch as being reasonable people - but how can anyone take such a man seriously? 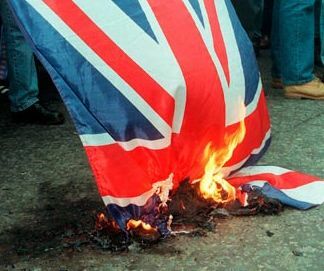 See hat4uk.wordpress.com for a German avaition expert's astounding analysis. Ed P, picked this up direct, have tweeted and now posted on same. I also alluded to this possibility in my lat post. Fascinating if our lot are to be caught out. Might see Obummer gone. Dave with him!